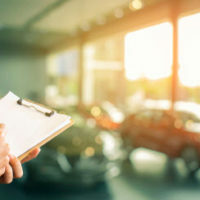 Consumers who purchase used vehicles from Pennsylvania dealerships and are defrauded during the process, can hold the at-fault parties liable for damages by filing a claim against them in court. Unfortunately, even those with valid claims could have their cases dismissed if they fail to file before a certain deadline, or to comply with other important procedural rules. This can be frustrating for wronged parties, while also leaving them with expensive repair costs or scrambling to offload a defective vehicle. To ensure that this does not happen to you, it is important to speak with an experienced used car fraud attorney who is well-versed in Pennsylvania law and can ensure that your own claim is filed properly and on time. Whether a used car dealer utilized unfair or deceptive advertising practices, improperly financed a vehicle, failed to disclose a car’s defects, or failed to honor a contract, he or she can be held liable in court by the wronged party. Successful plaintiffs who are able to demonstrate that the dealership violated state or federal law are often eligible to recover damages compensating them for the cost of the vehicle, repair costs, and other related losses, all of which can go a long way towards helping make wronged parties whole. This is only possible, however, when a person files a claim against the at-fault party before the statute of limitations expires. For instance, many legal claims in Pennsylvania have a one year statute of limitations, which means that plaintiffs must file a claim within one year of the date of injury or purchase in order to avoid losing the right to bring a claim and to establish eligibility for damages. The exact deadline with which plaintiffs must comply depends on the specific circumstances of the case in question. Civil suits based on fraud, for example, must usually be filed within two years of the date of the fraudulent action, while claims based on breach of contract are governed by a four year statute of limitations. It’s also important to note that there are a number of exceptions that apply to different statutes of limitations, so just because a person does not file a claim before a certain deadline, does not necessarily mean that he or she has no legal recourse. The importance of filing before the statute of limitations has expired, however, should not be underestimated, as failing to properly categorize a claim and file by the correct deadline can have dire consequences. For this reason, consumers who believe that they were defrauded by a dealership are strongly encouraged to consult with an experienced lawyer as soon as possible after the date of purchase to ensure that their right to file a claim is protected. If you have questions about filing a claim against a used car dealer who sold you a defective vehicle or failed to abide by your contract, please contact dedicated Philadelphia used car fraud lawyer Louis S. Schwartz at CONSUMERLAWPA.com today for assistance.